Del Boy and Rodney often groaned at the sound of Uncle Albert’s ‘during the war’ anecdotes but you could not help feeling their interests were piqued. There were many more Uncle Alberts around in the heyday of Only Fools and Horses who could tell tales of extraordinary events shaping the lives of ordinary people but war stories direct from the source are becoming more scarce. Time is taking its toll, even for a county rich with brave war veterans like Buckinghamshire. So that’s why I listened hard when entering the house of 93-year-old Tom Sayer. Mr Sayer of Bottrells Lane, Chalfont St Giles, sits among a room of memories. Paintings and photographs of aircraft adorn the wall – Halifaxes, Stirlings, Stearmans and Oxford planes, the old pilot remembers each machine’s peculiarities. The photograph of a proud, handsome young man in uniform sits alongside another of his sweetheart Jennie playing the piano. Born the son of a farmer in North Yorkshire, Mr Sayer went on to fulfil his most ambitious of boyhood dreams yet he may never have imagined the dangers and moral quandaries he would have to face. “I’m just grateful to be alive,” he says, before evoking a distinct childhood memory. His father was taking a break from sharpening tools for hay making when a young Mr Sayer asked why birds could fly but people could not. “He said we can not fly because we have not got any wings and because the birds have wings they have nay hands,” he reminisces. A couple of years later he heard the rumbling of an engine in the sky and dashed outside his rural home to see a plane. Determined to be a pilot, Mr Sayer studied hard to pass his exams while girlfriend Jennie practiced her music. The pair would sneak off to nearby market towns for film screenings on the weekends. A 16-year-old Mr Sayer landed an apprenticeship with the administration side of the RAF in Ruislip, and left Jennie for the first time since school. He then moved to Scotland and rapidly proved himself thanks to his sharpness picked up from years of tenacious studying. He was promoted to corporal ‘in no time at all’, he says, and was allowed to sign up for flying on his 18th birthday. The prosaic data entries in his logbook hint at a whirlwind year of travelling across the Atlantic to research different planes before being ordered to spot German U-boats in the Atlantic. Mr Sayer did not see find any submarines himself although he feels the presence of his unit served as a deterrent to the enemy who ‘had to stay below’. And at the thought of flying for the first time, he outstretches his hands into the air like his arms are wings and holds them there, rejoicing in the feeling. 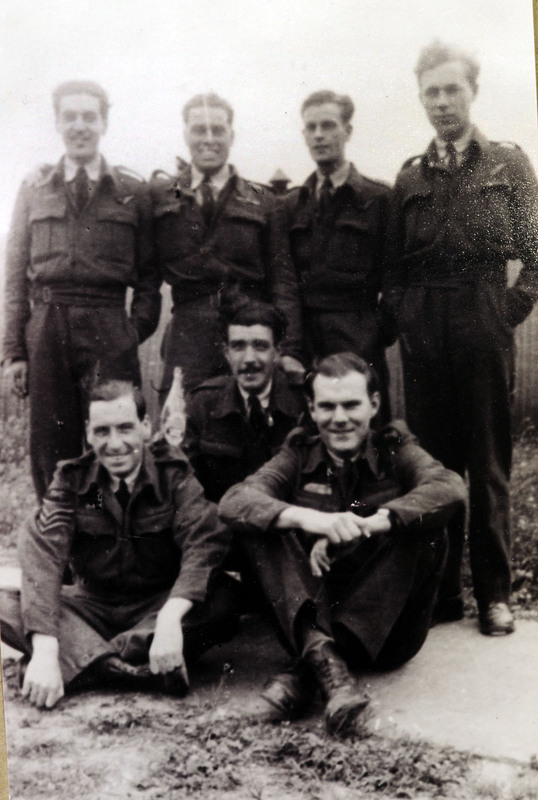 The second unit he joined was 102 Squadron which suffered the second worse percentage of losses on bomber command. By now the war was in full swing and Jennie had given up her civil service exams to help out in London. She had the unenviable task of telephone operating, and had to continue working even when the bombs began to drop and all else were huddled in the bunkers. The pilot began a course of 26 bombing missions over Europe with a hand-picked crew. About five tonnes of bombs each time, many high explosives but some incendiaries. He begins listing names of the places he bombed, Nuremburg ‘had it pretty bad’, he says. Dusseldorf, Krefeld, Hamburg, Aachen, Montbeliard. We stop. That’s in France. “Yes we had to bomb the Peugeot factory,” he says. “We were told the factory workers were outside having a meeting (and wouldn’t be there). Whether it was fact or fiction I will never know. It’s a woman offering Mr Sayer a box of biscuits which he won in the village’s twinning association raffle last weekend. He always seems to win, he tells me, with a glint in his eye. The conversation moves back to bombing. The British technique, he says, was ‘much better than the Americans’. A pathfinder plane would mark the target with a red bomb which would illuminate itself for other planes to hit. Then if there was a better area, the pathfinder would mark it with a different colour and tell the bombers to redirect themselves toward there. On one of the missions Mr Sayer was shot at by a German fighter. He put the plane in a position where the gunner could take out the enemy before rejoining the ‘stream’ of allied planes, saving the lives of his crew. He was awarded the Distinguished Flying Medal, one of the five which are placed on the table in front of us. King George VI personally pinned the medal on him in a ceremony at Buckinghamshire Palace which Mr Sayer’s parents travelled down for. “He of course stuttered a little bit and we were all informed of that. He said good morning, and what air craft were you flying. I said a Halifax and he said ‘I have heard of those, best of luck’,” says Mr Sayer. 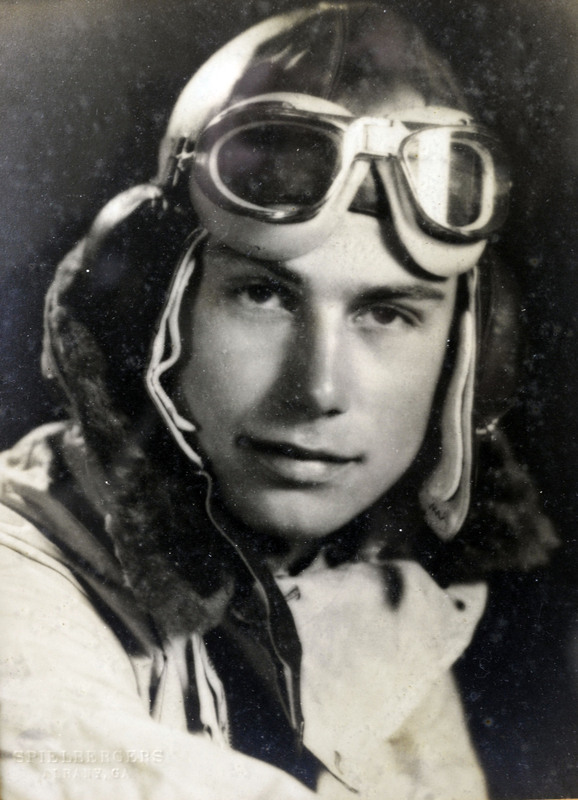 The pilot’s next mission saw him drop off gliders from west to south east England on D-Day which were then filled with troops and supplies and delivered to the front in Normandy. He married Jennie in 1946, had two children before moving to Chalfont St Giles 40 years ago and working as a factory production manager for EMI records after the war. Jennie died of cancer 10 years ago and, like the war memories, you feel it happened yesterday when talking with him. He is happy to share his memories, much like Uncle Albert and many others out there, so do not be afraid to ask and certainly do not groan.